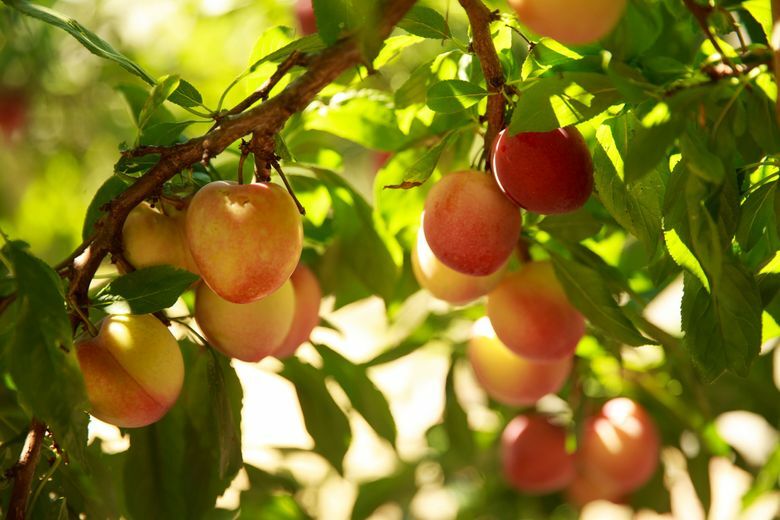 EARLY SPRING is the ideal time to plant a fruit tree. All fruiting trees that grow in the Pacific Northwest go dormant during the winter months. 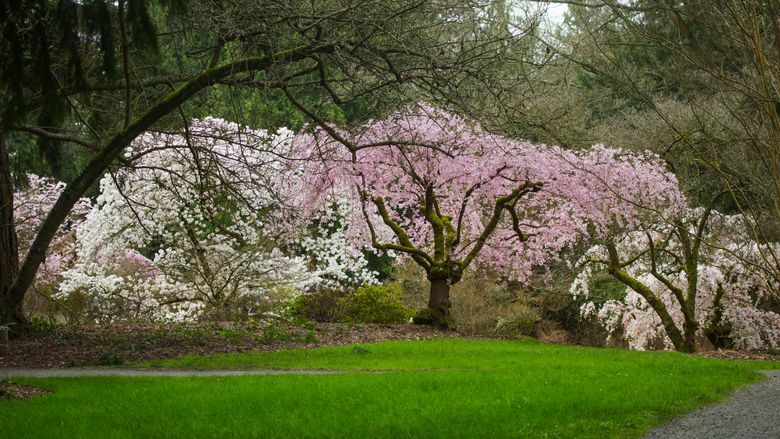 These trees most easily settle into a new home if they are transplanted while still in slumber — ideally, several weeks before their spring buds break. Spring weather allows the newly planted trees to send out roots and begin photosynthesizing without the stresses associated with excessively hot, dry or freezing weather. Fortunately, the local nursery industry is generally well-prepared for the spring planting season. Fruit trees begin arriving in local stores as early as February. If you are looking for very specific varieties, start shopping early, because there is always limited stock available. You might also consider mail-ordering your trees directly from a grower, which will provide access to the broadest range of varieties. 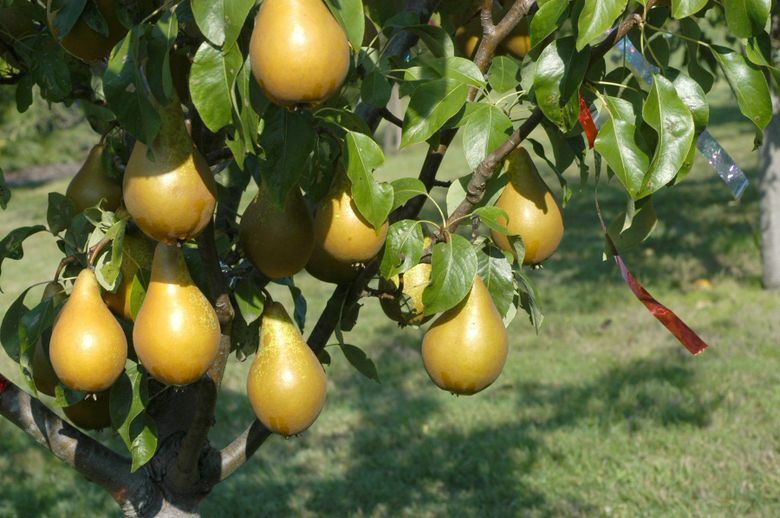 Fruit trees can be purchased “bare root” or as potted plants. Bare-root plants are often available earlier in the spring and can be considerably less expensive. 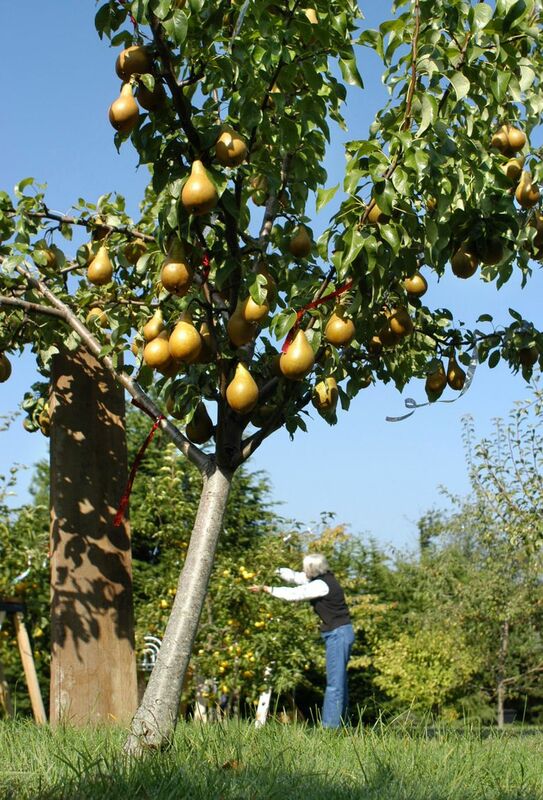 • Know your graft: Almost all fruit trees have been grafted. Grafting is a propagating technique that has been used for centuries. Typically, a branch from a desirable fruit tree (called the scion) is attached to the base of a different variety (called the rootstock). The scion determines the type of fruit, and the rootstock determines the mature size of the tree. When shopping for fruit trees, you’ll likely see a range of graft options, including true-dwarf, dwarf, semi-dwarf or standard-sized trees. In most settings, dwarf or semi-dwarf trees work best. • Pick a good spot: While many species are somewhat forgiving of poor soil conditions, most prefer a site that is sunny and well-drained. Keep in mind the mature size of your tree. You’ll need to provide it with enough space to fully spread its branches in its new home. And make sure to check the acidity of your tree location — optimum soil pH for most fruit trees is about 6.5. • Dig the right size hole: The hole should be twice as wide and the same depth as the root ball. It is not helpful to dig deeper because loose soil underneath the tree will cause it to sink as the soil settles back into place. Use your shovel or a spading fork to cut gashes into the sides and base of the hole. This will make it easier for the roots to grow into the surrounding soil. • Planting: Trim off any broken roots, and cut back roots that are long enough to wrap around your planting hole. Place the trunk of the tree in the center of the hole, and fill in soil on all sides. Water the soil as you go, and tamp it around the base with the handle of your shovel. These techniques will help close air pockets, stabilizing the tree and preventing root die-off. It is imperative that the graft union remains at least 2 inches above the surface. The graft union should be visible as a bulbous wound near the base of the trunk. If the base of the scion wood touches the ground, it might send out roots. This can override the dwarfing qualities of the rootstock and result in a full-size tree! • Staking: Most newly planted trees benefit from staking. A strong support will help the trunk remain upright while it establishes a root system. If you are planting dwarf or semi-dwarf trees, you might want to set up permanent staking. The dwarfing rootstock might never develop a broad-enough root system to support the trunk and branches. Dwarfed trees can tip over, even years after planting. The stake should stand at least as high as the tree’s lowest limb and be set just past the edge of the root ball. You can use tree-staking wraps from a garden center to tie the stake and tree together, or DIY methods such as old hose or nylons. Do not use wire or any material that could gouge the tree. • Mulching: Apply mulch around the base of the tree to supply nutrients and conserve soil moisture. Keep the mulch at least 2 inches away from the trunk. Mulch that touches the bark of the trunk will make it easier for burrowing animals to gnaw at and girdle (remove a ring of bark) your new tree. • Care: Water your new fruit tree regularly for at least the first three seasons after planting. 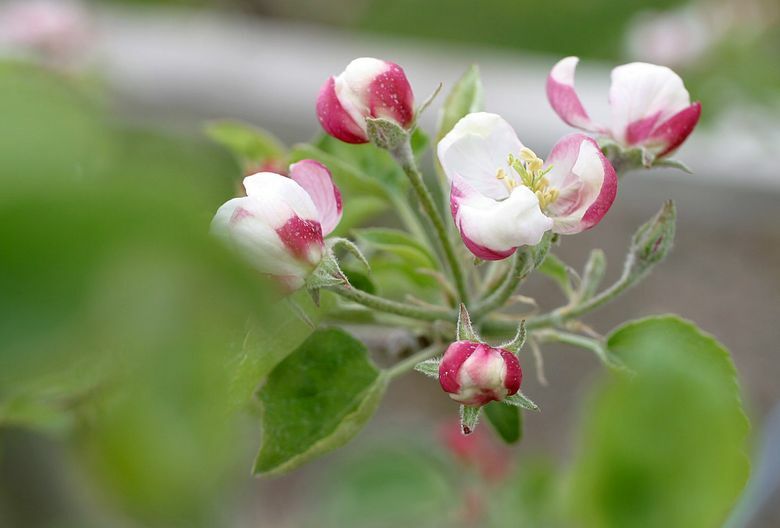 Most fruit trees benefit from yearly pruning and fruit-thinning. Now, the only thing you have left to think about is what type of tree you are going to plant.